Who will be the next Miss Universe 2017? 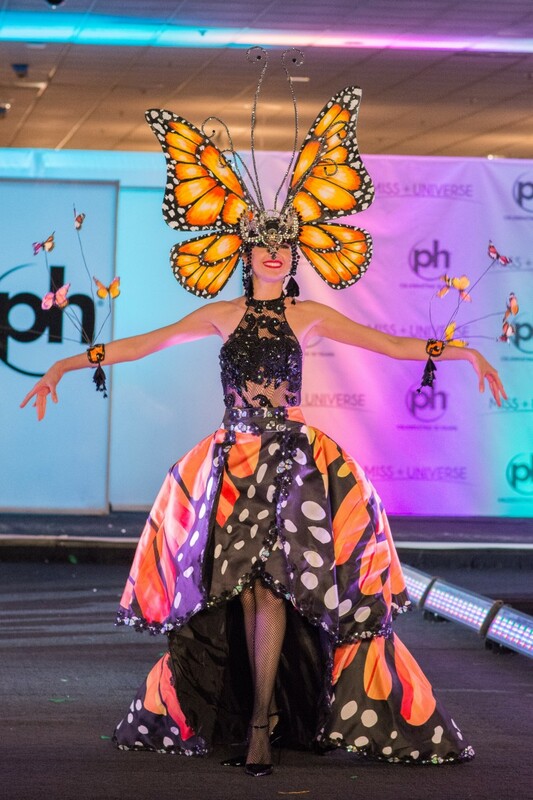 We are only days away of finding out which country will take home the crown in the most watched beauty pageant in the world. Steve Harvey is set to host the competition on Sunday, November 26 live from Las Vegas. Musical performances from Fergie and Rachel Platten are confirmed. Judging the competition are Ross Mathews, Lele Pons, Jay Manuel, Megan Olivi, Pia Wurtzbach and Wendy Fitzwilliam. 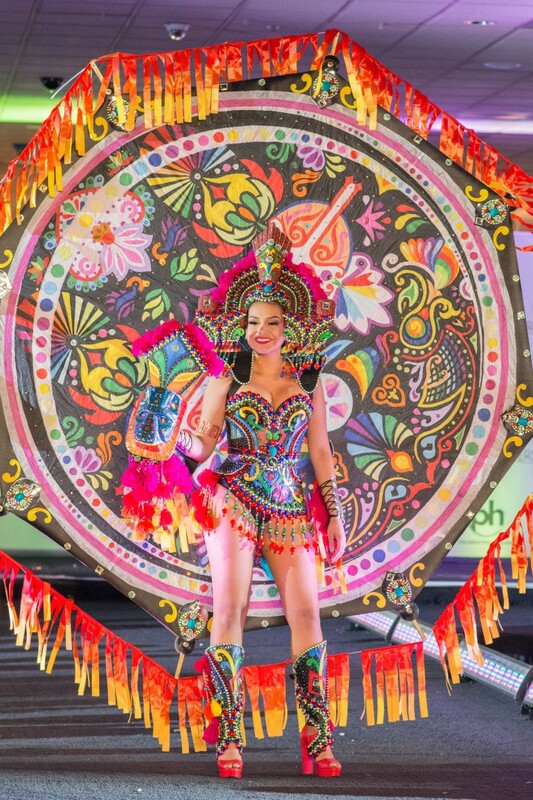 During a preliminary competition, the girls showcased their national costume, check out the photo gallery below and tell us which one was your favorite! Argentina: Stefania Incandela would best describe herself as persistent, passionate and strong-willed. She has a degree in public relations and seeks to help children who suffer from domestic violence. Stefania believes children deserve to grow surrounded by affection and happiness to build a better future. In her free time, she can be seen riding her bike. Stefania has competed in three different international pageants, and hopes to take home the crown in her fourth pageant as Miss Universe. Bolivia: Gleisy Noguer is known to be an adrenaline junkie as she is most likely seen riding her motorcycle. When she isn't cruising around Bolivia, Gleisy is playing futsal, volleyball, and soccer. Not only does Gleisy have a tough side to her, but she also has very artistic side as she enjoys dancing and abstract painting. Gleisy hopes to take home this year's Miss Universe crown and be an inspiration to not only women in Bolivia, but women all over the world. Brazil: Monalysa Alcântara has made a name for herself in Brazil for pioneering a beauty self-awareness organization. Monalysa dreams of being a world-known influencer for women rights, race and gender equality. 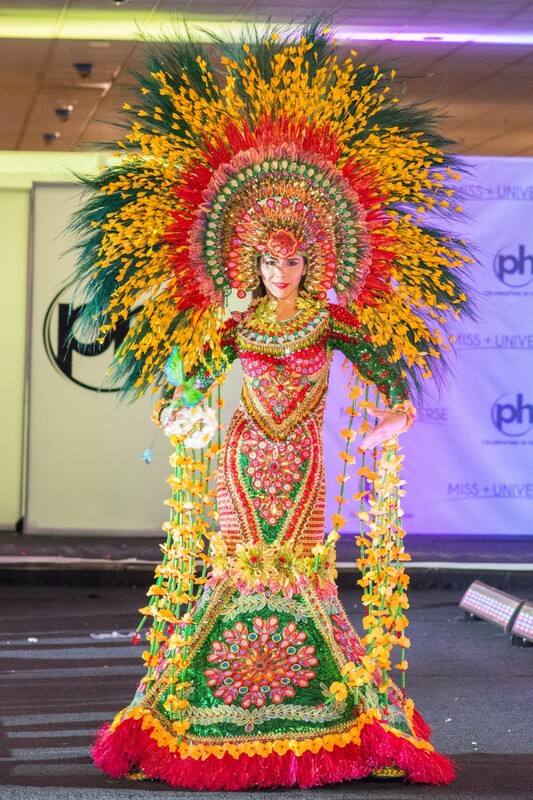 If she takes home the crown, Monalysa hopes to advocate for beauty self-awareness throughout the world. She expects to finish her studies in business administration in the coming years and continue pursuing her modeling career. Chile: Natividad Leiva is a professional model and Muay Thai boxer, who is finishing her last semester in the Accounting School at the University of Santiago. She works as a spokesperson for the fight against HIV, by speaking out on prevention and creating awareness in order to decrease the number of people in Chile living with HIV. Natividad won the title of Miss Universe Chile on her third try, achieving the first runner up title in 2014 and 2016. 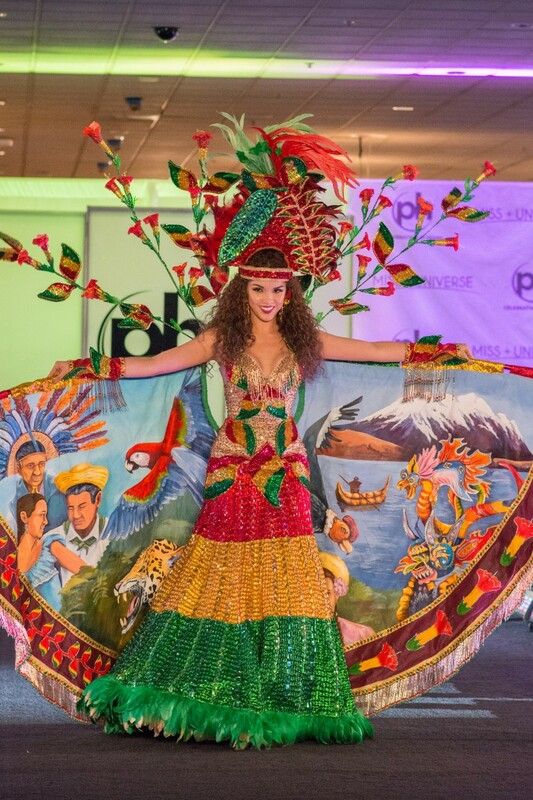 Natividad is looking forward to representing her country on an international stage. Colombia: Laura González from Cartagena de Indias has been preparing herself to be an actress since the age of 16. After she graduated from a performing arts school where she studied acting, she moved to Bogotá to kick start her career. Since taking the risk to pursue acting, Laura has worked to develop herself in theater, short films and TV. Aside from acting, Laura enjoys relaxing activities such as Yoga and Pilates. Laura hopes with her experience in front of an audience, she will be confidently crowned the next Miss Universe. Costa Rica: Elena Correa is 26 year-old student studying medicine and business administration with an end goal of becoming a Dermatologist. When she isn't at school, she can be seen watching car races with her family. Elena is concerned about the environment and the lack of water in many countries. If she is crowned Miss Universe, she would like to bring awareness to the issue and help make a global change. Dominican Republic: Carmen Muñoz is a practicing lawyer who caught the attention of one of the most successful corporate law firms in her native Dominican Republic when she published her master thesis “Intellectual Property in Dominican Fashion Industry”. This firm also has the empowering quality of being an all-female-firm and Carmen was hired on the spot, but it is her advocacy on behalf of women and children rights what defines her truest passions. This advocacy started in 2013, when Carmen was just a college student. She was chosen to participate in a debate in front of the Dominican Congress on the subject of Child Law. She is also vice-president of “Making Big Smiles” a charitable organization aiding communities in primary needs. If Carmen takes home the Miss Universe crown, she would like to focus on the high risk of teenage pregnancy in her country. Ecuador: Daniela Cepeda is a third year student studying Psychopedagogy. In her free time, she likes to spend time with her family, travel to the beach, and enjoy the landscape of Ecuador. She believes that every child has the right to a personalized education based upon their differences to help children learn to the full of their potential. If crowned Miss Universe, she would like to create a recreational project for children who are hospitalized that have no access to education. El Salvador: Alisson Abarca is known for being on top as she was the Valedictorian of her high school graduating class. Currently, she is pursuing her Bachelor’s degree in English Language as she hopes to be an English teacher at an English educational program. She hopes to create this program so that teenagers with economical needs can attend. Alisson is certain that education is the key that opens many opportunities leading to success. Alisson has many hobbies including soccer, softball, singing and belly dancing. She loves volunteering at the orphanage Padre Vito Guarato and at her church to help the homeless by providing food, clothing, medicine, toys and games for children. Alisson is looking forward to the upcoming Miss Universe show and hopes to make her country proud. Guatamela: Isel Suñigal is a law student passionate about giving back to her community. She is an active member of groups that focus on helping people with disabilities and unadvantaged children access into sports. Isel has dedicated 7 years to supporting children in a state of malnutrition and giving them survival necessities. Isel likes riding horse and traveling the world, getting to know different cultures and ways of life. One day she hopes to continue her positive influence as mayoress of her town. Honduras: April Tobie currently plays volleyball on the UNAH team in the capital Tegucigalpa and has been scouted to play for the National Honduran Team. She is now in her second year at UNAH pursuing her career in International Trade. Described by many as a bright young woman, she is a girl that sets goals that many may perceive as unachievable. April believes there is no goal that cannot be reached, so after achieving her goals she hopes to pass on what she has learned to future generations. If chosen as Miss Universe, April hopes to graduate and promote the equality of women in sports. México: Denisse Franco would best describe herself as a curious person. She is a recent high school graduate who is furthering her education to pursue a degree in medicine with a future plan of becoming a gynecologist. Denisse works closely with Smile Train that provides free cleft and lip palatte surgery to children globally. Denisse also works closely with a charity where she is able to visit abused children in their foster homes. She is grateful to be able to provide the children information and assistance about their health and self-esteem. 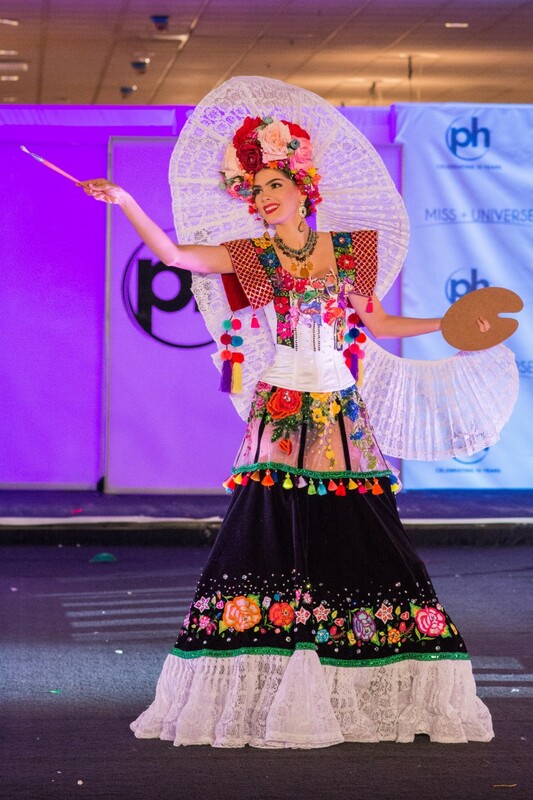 Denisse is honored to be representing Mexico on the global Miss Universe stage. Nicaragua: Berenice Quezada Herrera grew up facing many obstacles, but has managed to achieve many of her dreams that have allowed her to support many different charities. Berenice works with Nueva Vida, where she speaks with women to empower and encourage them to become entrepreneurs. She would best consider herself as adventourous as she loves riding horses and swimming. If she brings the Miss Universe crown to her country for the very first time, she will focus on youth education and will continue to support and empower entrepreneur single women to achieve their goals on being successful. Panamá: Laura de Sanctis describes herself as a strong positive woman who is not afraid to succeed in life. It has always been her mission to bring pride and distinction to her home country of Panama, and to become the next Miss Universe. Laura studies social communication, and has passionate about helping people find a healthy and stable state of mind. Laura hopes to raise awareness to the importance of mental health, self-love and acceptance through different community outreach strategies and eventually throughout the world. Paraguay: Ariela Machado was born and raised in Asuncion, Paraguay and is currently working on her Business Administration degree at the American University of Asuncion. While finishing her thesis, Ariela is also head of the administration department at an international company called PayGo. She is very dedicated to her community and volunteers at Children's Cancer Residency: Koeju. In her spare time, Ariela can be seen at the gym, painting or listening to music. Ariela is looking forward to making her country proud on the international Miss Universe stage. Perú: Prissila Howard spent the last 5 years of her life pursuing a degree in Business Administration and Human Resources. After finishing as first runner up at the Miss Perú 2016 pageant, she decided to start her own business, Crece 360. Crece 360 is an empowerment program that gives people tools to transform their abilities, align their way of life to the reach their goals, and help them become the best version of themselves. Something that people may not know about Prissila is that she was a swimming national champion for Peru. Prissila has dedicated a majority of her year as a volunteer helping those affected by the tragic natural disaster that struck the northern part of her country. If she takes home the crown, she wishes to be an advocate for women’s rights, specifically creating awareness about the different rights young women and men share in Latin America. Puerto Rico: Danna Hernandez is pursuing a degree in Public Relations and Communications. Danna is a classically trained ballet dancer but also enjoys salsa, flamenco, jazz, hip hop and belly dancing. She is also talented in the art of music as she has played flute, clarinet, and hopes to learn the electric guitar. For advocacy, Danna has been working tirelessly on her health and wellbeing initiative by visiting schools around the island after Hurricane Irma and Hurricane Maria. She has put all her efforts towards recovery missions with the Red Cross, of which she is an active member. Danna also personally helped disaster victims by visiting communities with much needed supplies through the United for Puerto Rico foundation. 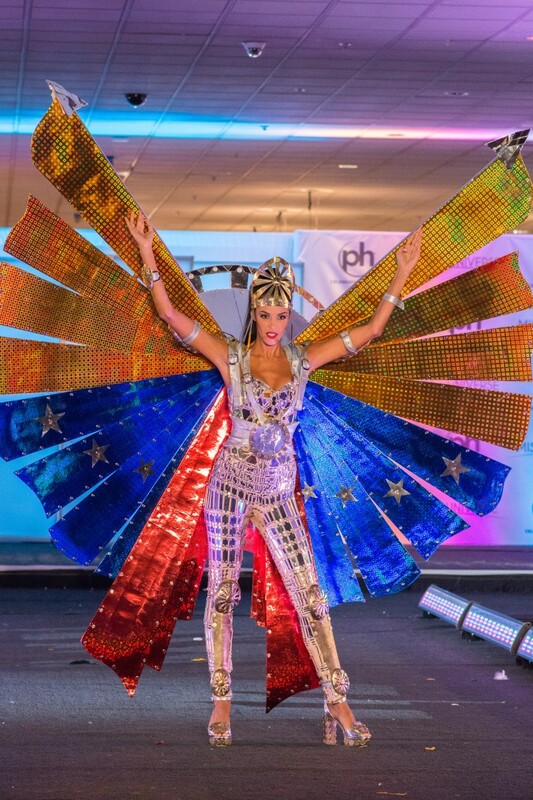 Danna is looking forward to representing her country and making them proud on this year’s Miss Universe stage. Spain: Sofía del Prado grew up in Villarrobledo, Albacete, but has been living in Madrid for four years. When she graduated high school, she moved to Madrid to go to college to pursue a degree in International Relations. After graduation, she carried out her internship at an international winery in the Department of International Commerce. Now, Sofía plans to pursue a Master's degree in International Business and Commerce. If she takes home the crown, Sofía would like to work closely with Red Cross to help in any way she can with the refugee crisis. Uruguay: Marisol Acosta has kept herself busy the last couple of years studying fashion design in hopes of one day having her own brand and clothing shop. Besides fashion, she has always been fond of dancing, travel, flora and fauna, and cooking local dishes. Marisol also has an althetic side as she is experienced in handball, football and basketball. Marisol is looking forward to representing Uruguay and showing the world the strength and passion women have in her country. Venezuela: Keysi Sayago comes from a humble family and grew up surrounded with love, especially from her grandparents that took care of her. Her family gave her the strength and compassion to help others with love and commitment. Keysi has always had an interest in mechanical equipment and how things work, which has led her to earn a degree in mechanical engineering. Since she was crowned Miss Universe Venezuela 2016, Keysi has given services to different organizations to provide food and shelter to children and adults who have lack of resources in vulnerable situations. In her free time, Keysi enjoys reading, cooking and outdoor activities including skydiving and scuba diving. If Keysi takes home the Miss Universe crown, her mission would be to help those in need and promote wellbeing in order to have a better society. When Is Miss Universe 2017?